For a more accurate estimate and evaluation, we offer an easy way for you to request estimates. Please see Picture Upload at the end of evaluation form. A Elite Rim Repair Professional will contact you within 24 hours. 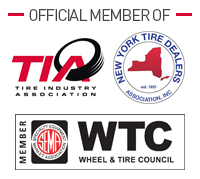 Our partners have over 45 years in the wheel and wheel repair business. All Tech's are ASE Certified with 4 Nassau County licensed welders. Our goal is to be competitively priced, with quality and service being our #1 objective.